Shridevi Institute of Engineering & Technology (SIET), Tumakuru, Karnataka is affiliated to Visvesvaraya Technological University, Belagavi, Karnataka, and is approved by AICTE New Delhi. Shridevi Institute of Engineering & Technology is a brainchild of Honorable Dr. M. R. Hulinaykar, (Chairman and Managing Trustee, SCT, Tumakuru). He is the President of Sri Shridevi Charitable Trust (R.), which is running 12 Institutions under various streams of education. His love for education and care for his native district manifested itself in the form of this college. SIET was established in the year 2002 with the sole aim to impart quality Technical Education. It is approved by AICTE & affiliated to Visvesvaraya Technological University, Belagavi Karnataka state and presently offers undergraduate & postgraduate Programmes with annual intake of 540 & 150 respectively. At present, College offers 6 Under-Graduate Programmes, 6 Post Graduate Programmes and 6 Ph.D. Research Programmes – covering ‘Engineering & Technology’, ‘Biotechnology’ and ‘Management’ streams. So far, 10 Batches of Engineering students have successfully passed out and many of our students have pursued their higher studies in India or abroad and have well settled in their life. 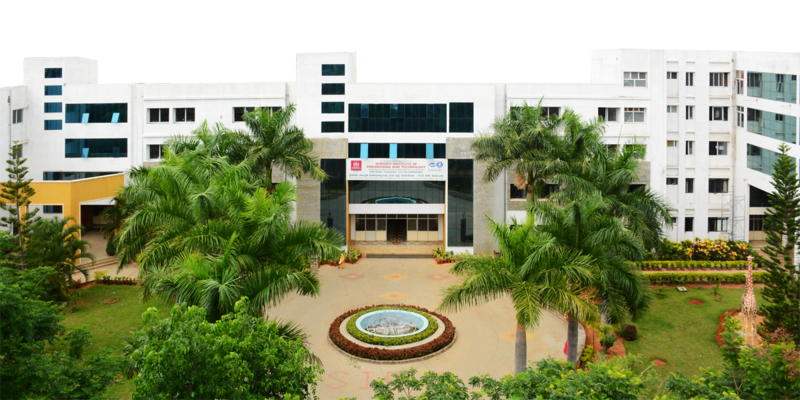 Shridevi Institute of Engineering and Technology is functioning under the aegis of the Two Decade old “Sri Shridevi Charitable Trust (R.), Tumakuru”. The Trust was founded for promoting the cause of Quality Education, by Dr. M. R. Hulinaykar, a famous surgeon, an Academician and Educationalist as well. The Trust runs a network of more than 10 Institutions and is one of the Largest Educational Groups in the Karnataka. The establishment of the Shridevi Institute of Engineering & Technology in 2002 stimulates the ascendance of plateau of achievement of academic excellence, in dissemination of quality education from preprimary to post graduate level by Sri Shridevi Charitable Trust (R.), ensconced at Tumakuru, by a social worker The Managing Trustee Honorable Dr. M. R. Hulinaykar in 1992. Many of our students have obtained excellent marks in the university examinations and are in great demand in the industries in India and abroad.